Sometimes the more subtle the disturbance the scarier it is. 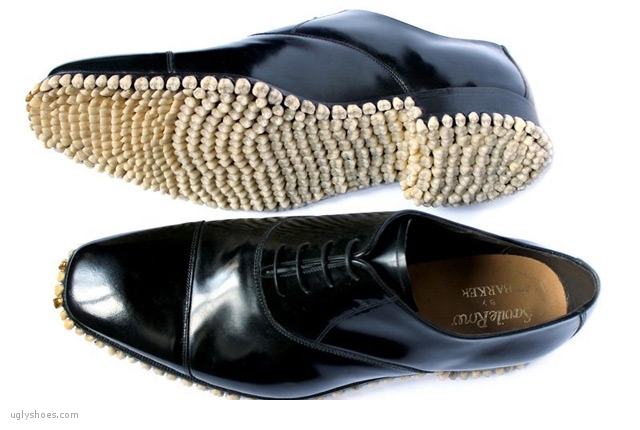 This is the case with the Apex shoes from Fantich&Young. 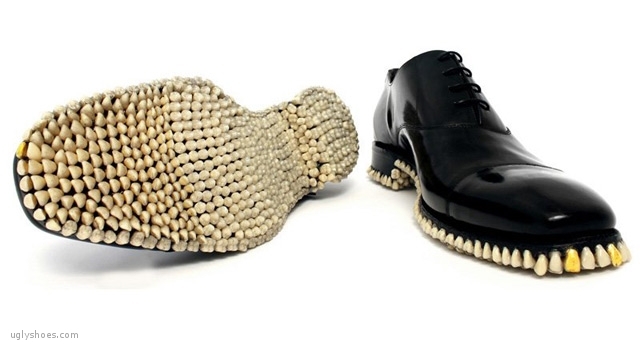 The sole is entirely made out of teeth: 1, cialis 40mg 050 teeth dentures to be exact. 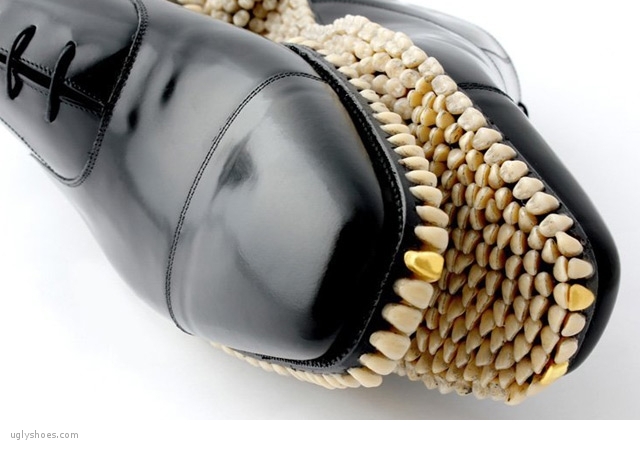 Look at the detail of the gold teeth, visit web too. 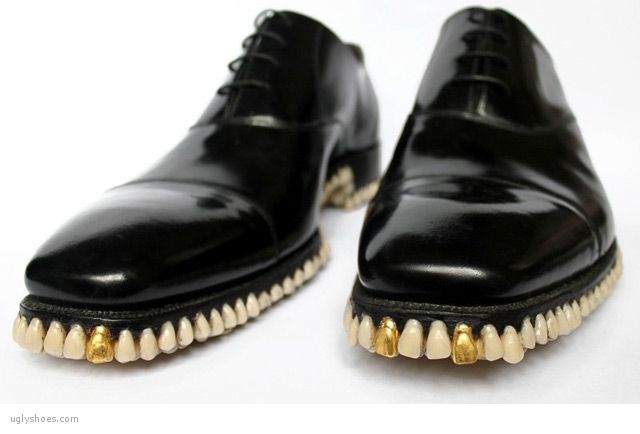 I would be really creeped out if I saw someone wearing these. 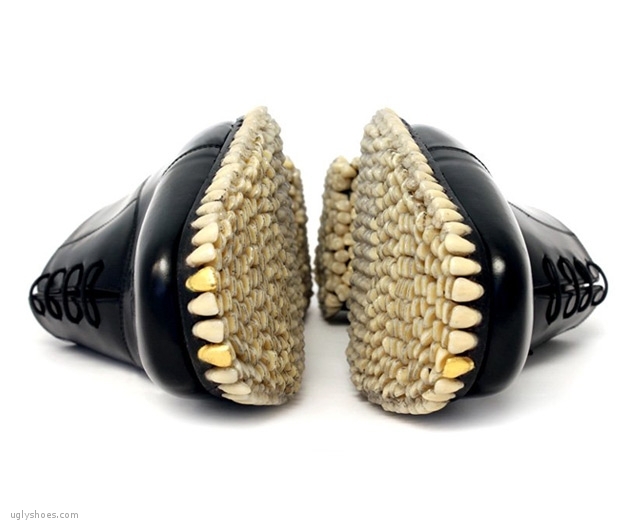 Go here to see the matching Predator suit made entirely of human hair!